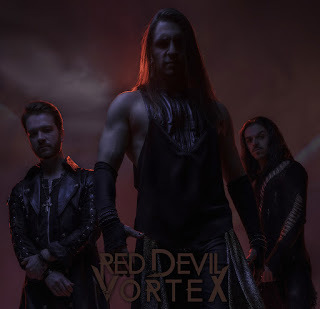 Red Devil Vortex Release New Video for New Single "Something Has To Die"
LA based metal rock band RED DEVIL VORTEX has released the video for the debut, title single off of their upcoming EP, "Something Has to Die", due out May 4th but available to pre-order NOW! Directed and edited by Raphael Bittencourt, "Something Has to Die" showcases the trio's unique re-interpretation of the heavy rock genre. Pre-orders HERE and the video can be seen right HERE.